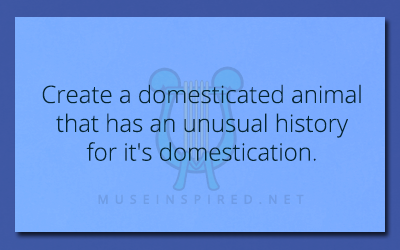 Crafting Creatures – Create a domesticated animal that has an unusual history for it’s domestication. Crafting Creatures - Describe a unique species of bird that lives in ice nests. Crafting Creatures - Create a reptilian creature that rifles through garbage to find it's meals. Crafting Creatures - Craft a lizard that likes to make its home in boots.